This week we are deciphering the 9 patch block, which is a big favourite of mine. 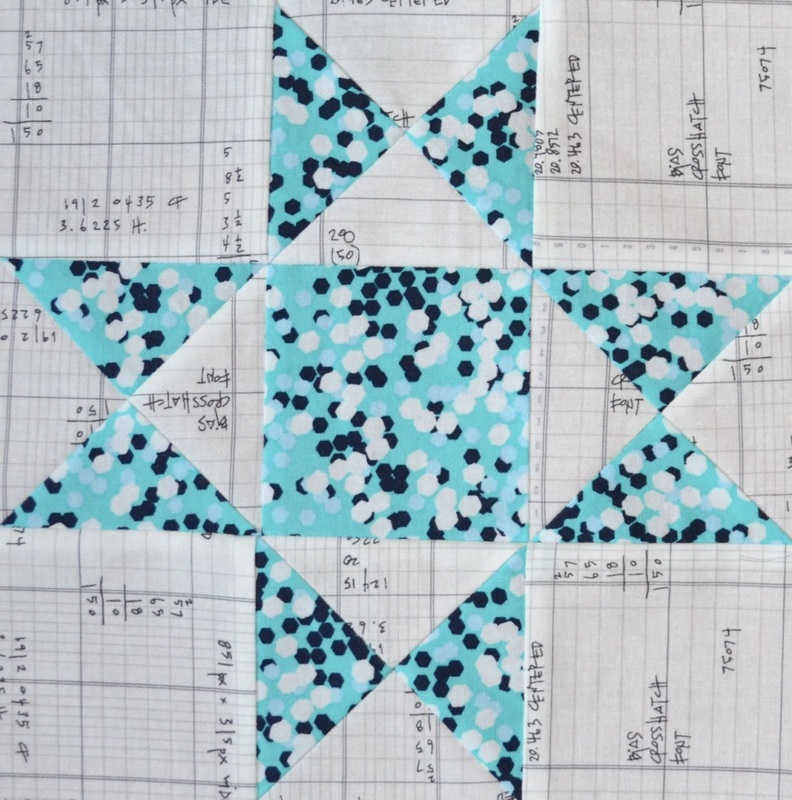 Jess, from Elven Garden Quilts, is going to explain how you do the math behind a nine patch block, so don't forget to read her post too. What is a 9 Patch Block? For DYQ, we are looking at ways for quilters to be able to figure out their own blocks, so we will focus on blocks with patches - often called units - of equal size (there can also be blocks with 9 parts that are not equal sizes, that is not what we are calling a 9 patch block, I'm not sure what the quilt police would say but it is good if we are all on the same page here). How do you find a 9 Patch Block? You are looking for a block that repeats in a set of squares that are 3 squares by 3 squares. 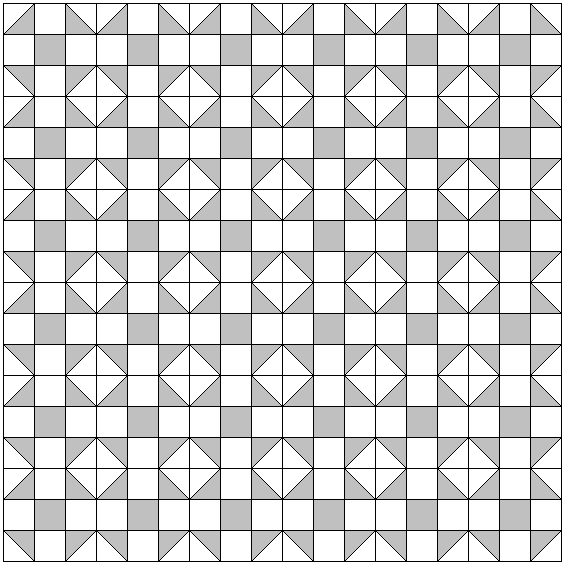 If the repeat is more than 9 squares, you might have a 16 or 25 or more patch block instead, and sometimes that is tricky to see. Let's look at the Shoo Fly block. This block always looks like dancing Snoopy to me, it is just the happiest block. 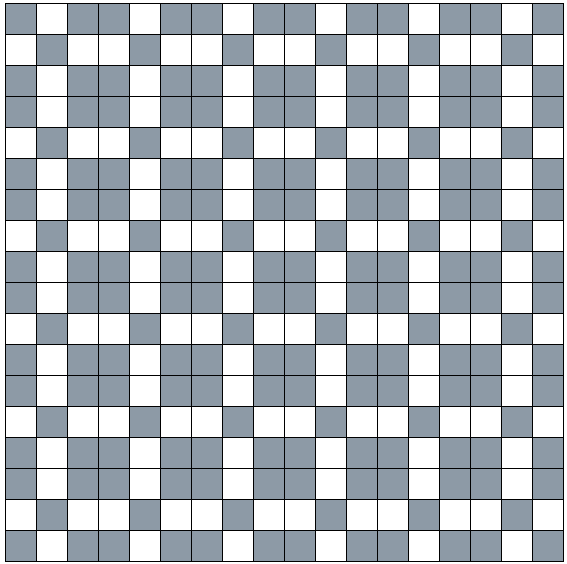 It is an easy to make 9 patch: 4 HSTs, one coloured square, four background squares. If you put it in a quilt, what do you get? When I look at that image, I do not readily see the shoo fly, I see square borders with a diamond unit in the middle. 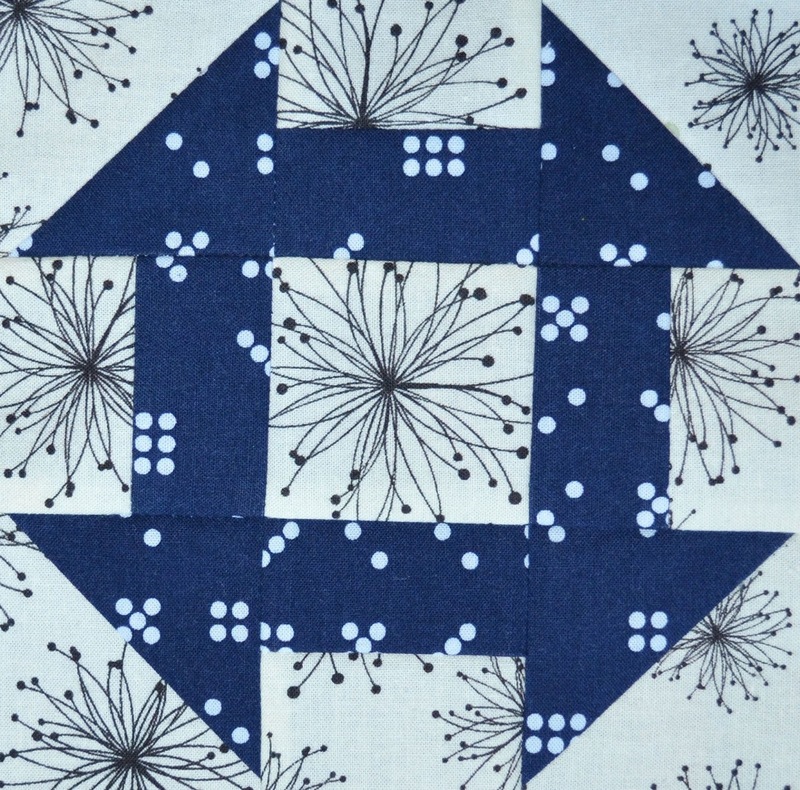 Often with a quilt repeat, you need to take your eye back to a corner of the repeat and then you can see the repeating block. 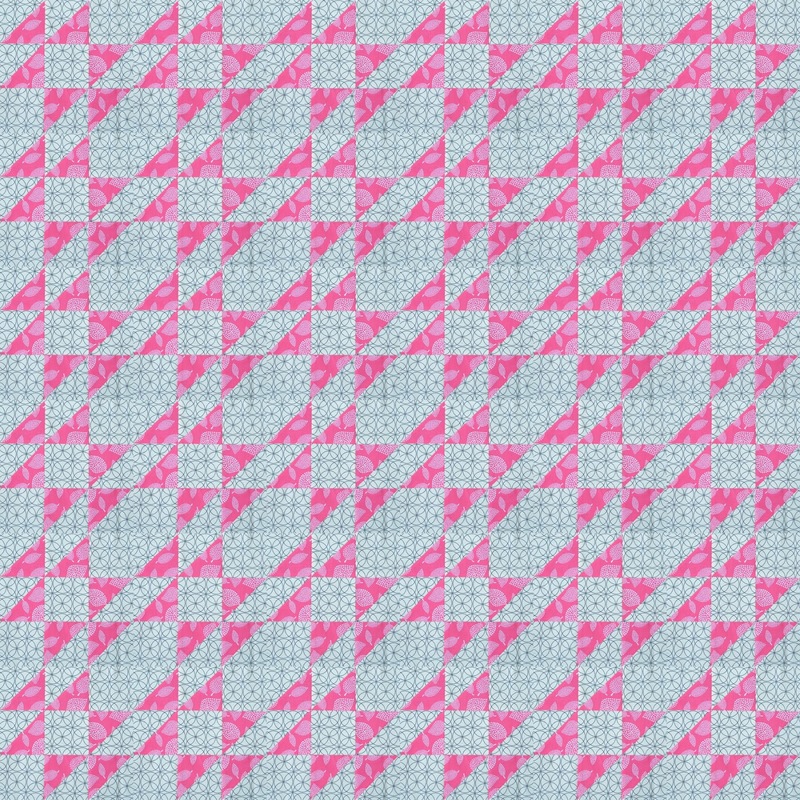 And you can see, even if we colour the block with modern fabrics, it can be no easier to see. If you made all the shoo flies different colours they would reappear in this mosaic but it you did them totally scrappy so every part was different, they would disappear again. You can see the different effect even if the shoo flies are made in an improv manner. The other thing that this exercise shows you is the other patterns, often called secondary patterns, that emerge. When you are doodling, consider drawing a page of a single block and then colour it different ways to see what different quilt designs you can achieve with one block. Do you see stars, or do you see a wonderful tile floor mosaic - notice that this rendition of the ohio star uses three colours? Again, go to the corner and pick our the repeating 9 patch ohio star. 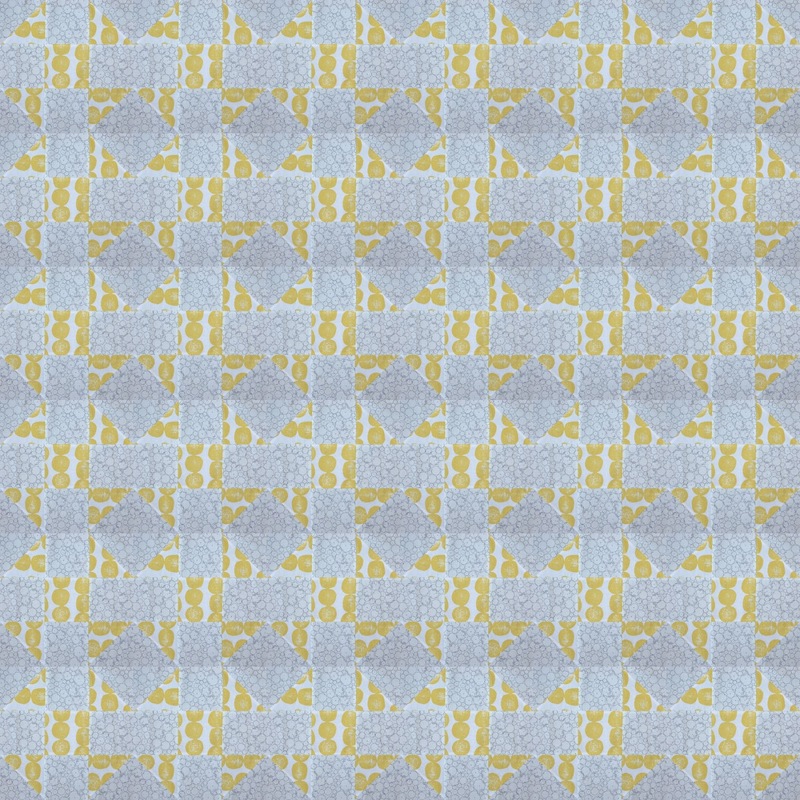 The look changes again when you put the two colour block into a mosaic. 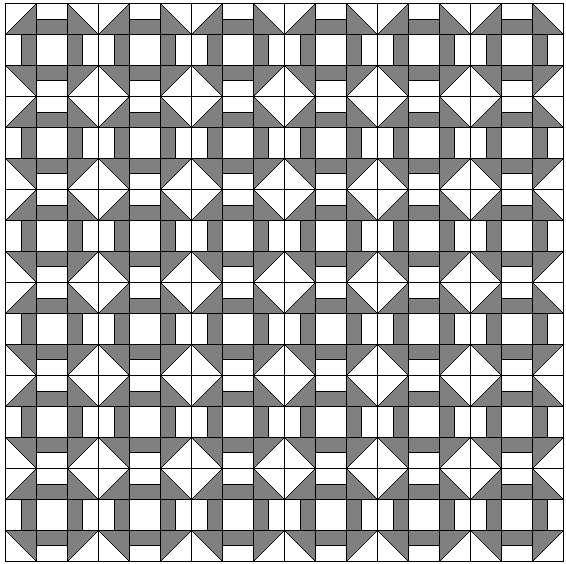 Do you see with this image, how you might look at this quilt and think that you need to make a square and surround the squares with borders. But if you go to the corner you can see the star again. You can see in this trivet that you can achieve yet another look by nestling the stars closer together - they share one set of points with the centre star - and colouring the stars differently. How about a simple nine patch. You will notice that I have coloured this one differently than the "usual". 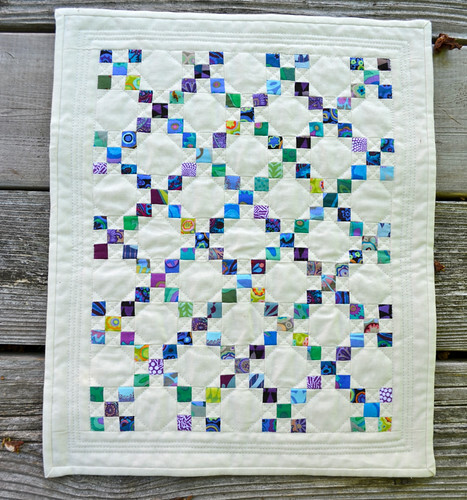 In a quilt, especially if the darks are all the same, it looks totally different - again squares with sashing, like a tile floor. Even more so with a coloured block. You have to really look hard to see the nine patch here. If you colour the nine patches more traditionally, you end up with a traditional quilt called an Irish Chain. That quilt was a mini for a swap - the squares are all 1/2" square. 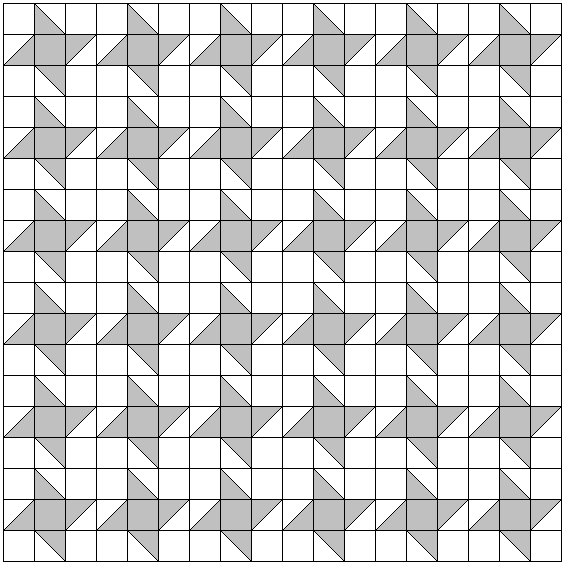 Even in this quilt, if you don't go to the corner, you might not readily see the simple nine patch block as the repeating block. 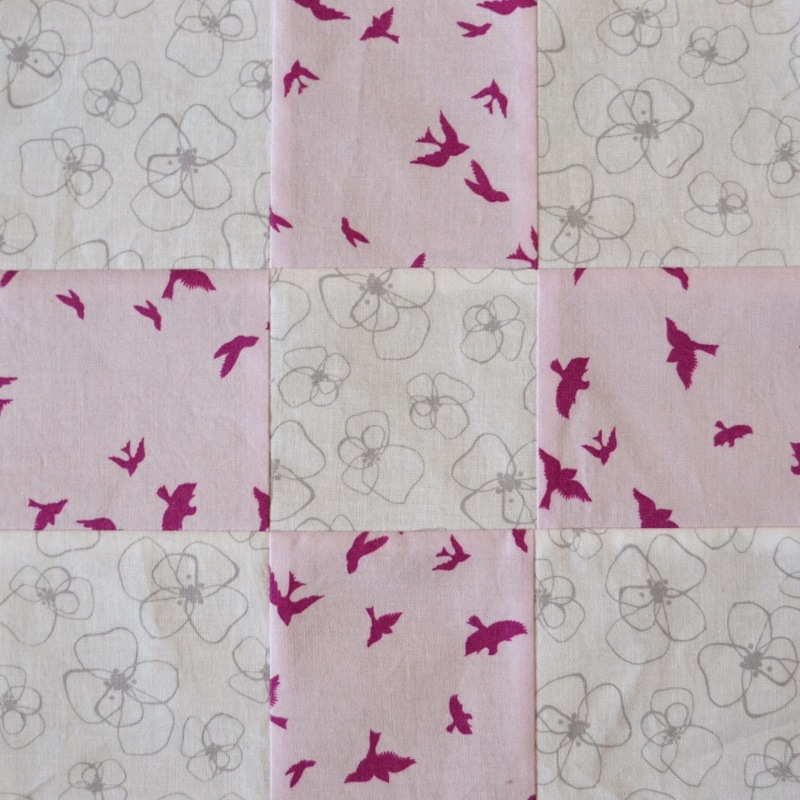 I see so many different ways to colour that quilt, think of what can be achieved with a simple set of nine patch blocks. 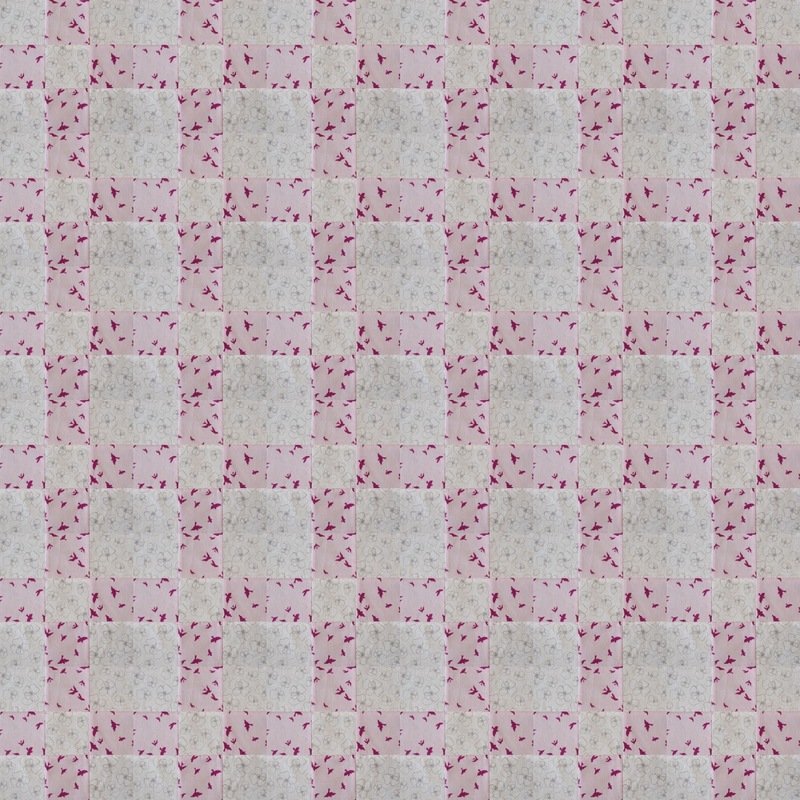 One thing I should point out in these photos of the blocks I have been making - I cropped off the seam allowances so I could put them into mosaics and we could see how the quilt would look sewn together. In real life these blocks have 1/4" of background fabric around their edges, to allow me to sew them to the next block without losing their points. Last month I made Maple Leaf blocks in one of my bees and I know that Jess is making an oversized maple leaf block quilt this week. This last one is callled a Jack and Six and Barbara Brackman's Encyclopedia of Pieced Quilt Patterns says this block was by Nancy Page. It is a variation of the Contrary Wife block. For a project this week, I have two options for you. 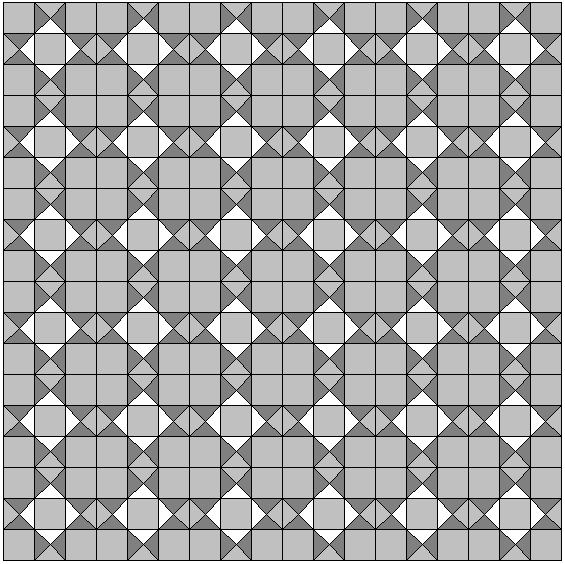 You could just decipher some blocks on your own and join me in making blocks for a DYQ sampler. I could not talk about these blocks without making some, in all different sizes. There is my instagram photo from the weekend showing the blocks I have made so far. I am making them to be 6.5", 9.5", and 12.5" unfinished. 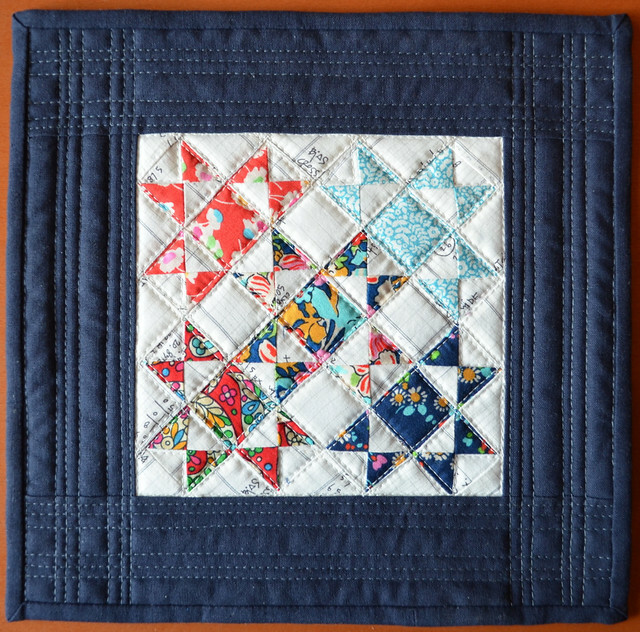 At the end of the DYQ series I will give you some help putting different sized blocks together, but it is easier to do if you keep them all in multiples of the same number - I am using multiples of 3" finished blocks. If you decide to join me, try making the blocks without help, using the DYQ math and ideas but do let us know if you get stuck, Jess and I are happy to help. Another project is this Ohio Star in Star, you can find my tutorial by clicking here. 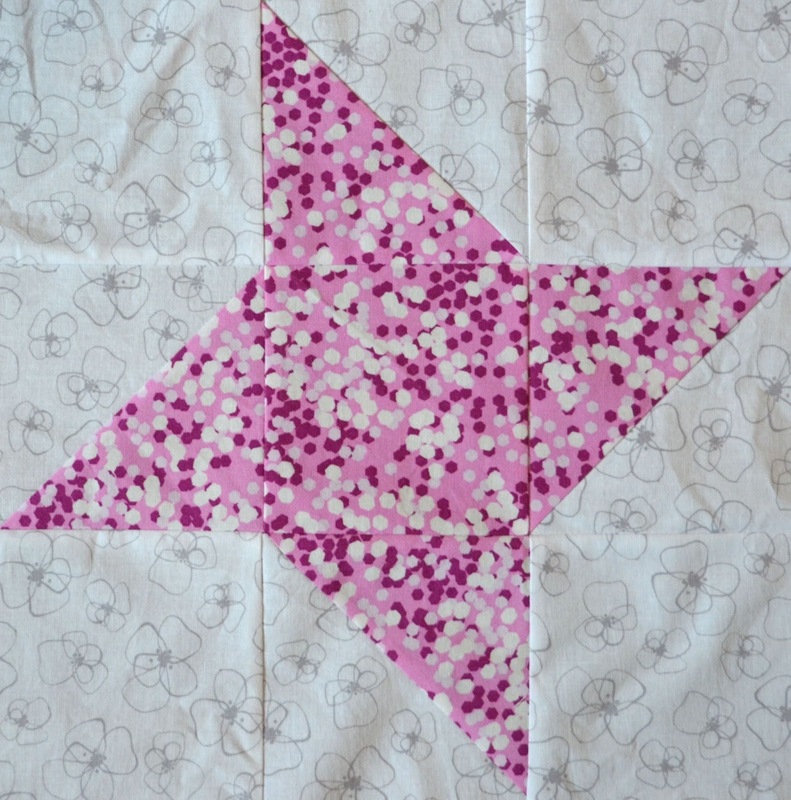 One of the tricks in this tutorial is how I avoided some difficult quilt math by sashing that inner star - given that the inner square finishes at 4" for this 12" block, and it is harder to divide 4 into three equal parts than three, I made a 3" Ohio Star and sashed it up to 4". 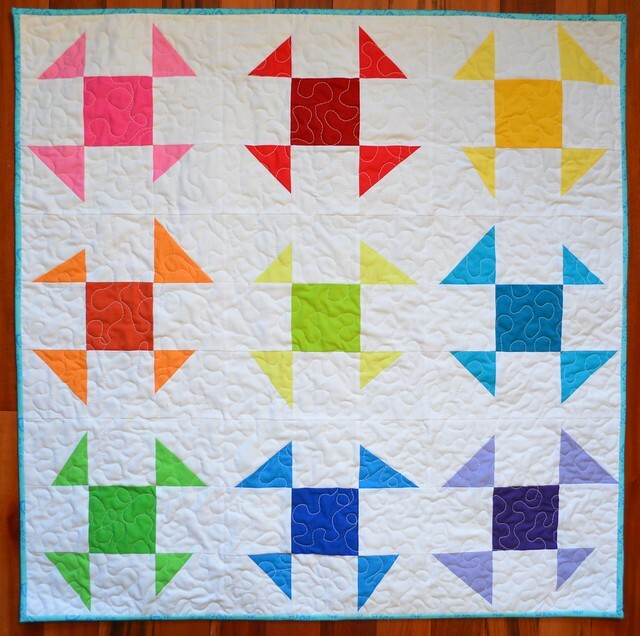 Please share your projects or blocks with us in the Flickr group or tag them #decipheryourquilt. 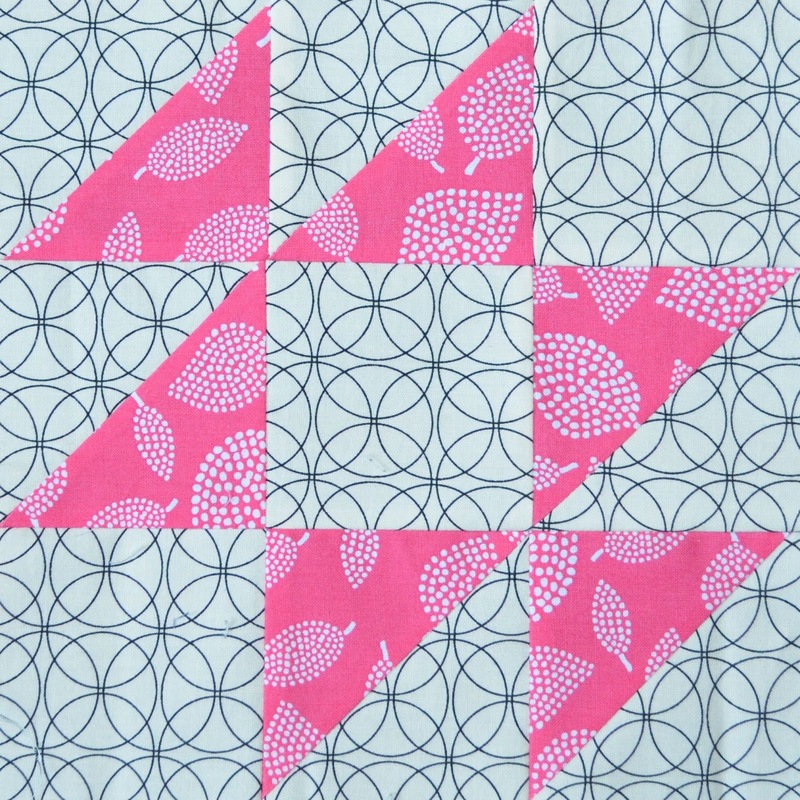 Don't forget to visit Jess at Elven Garden Quilts to learn the math behind the nine patch block. We are back the week after next - we are taking the coming week off from DYQ - to talk about 16 patch blocks. Really helpful deciphering tricks today. 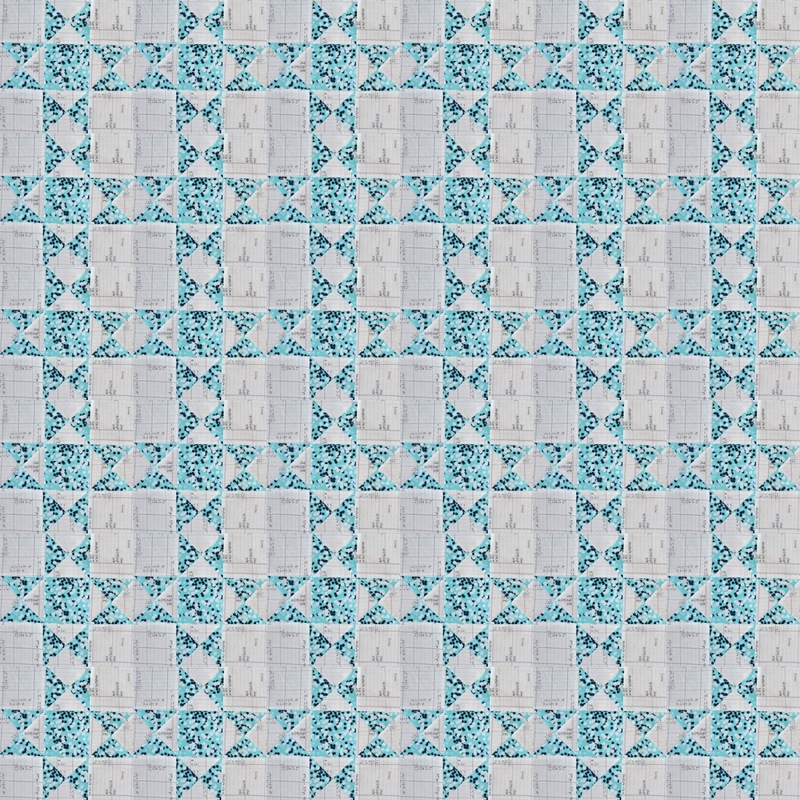 Looking at the repeat of patterns is something I forget to do sometimes and then I end up with a quilt that wasn't quite how I expected it to look - like wanting stars but getting floor tiles! I'm really enjoying this series of blog posts. 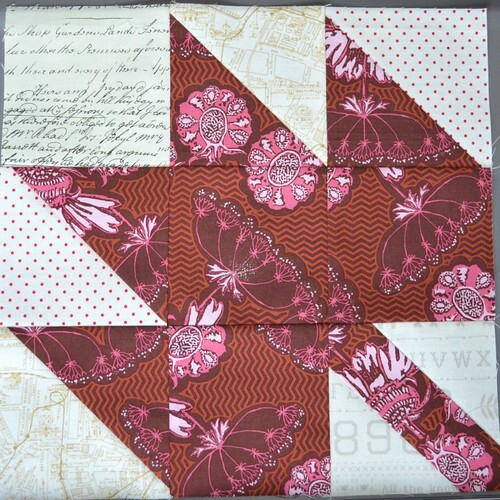 I love the tip to look in the corner of a quilt to find the block. 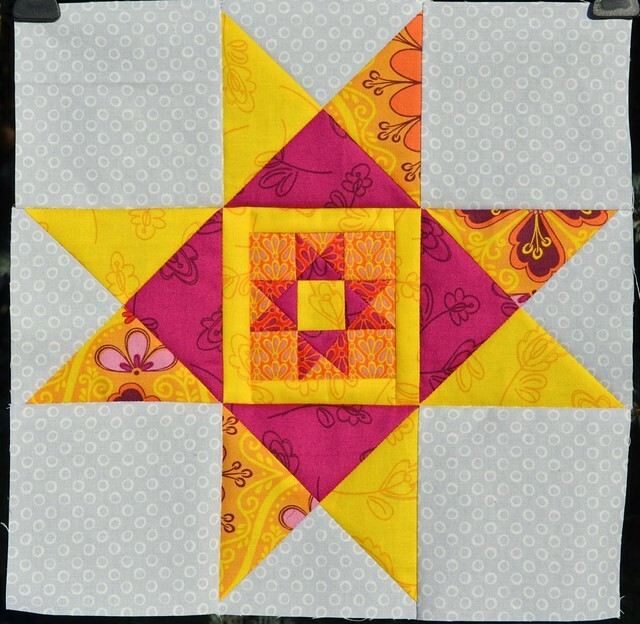 Contrary wife and friendship star are a favourite 9 patch. Great tutorial on a great block! 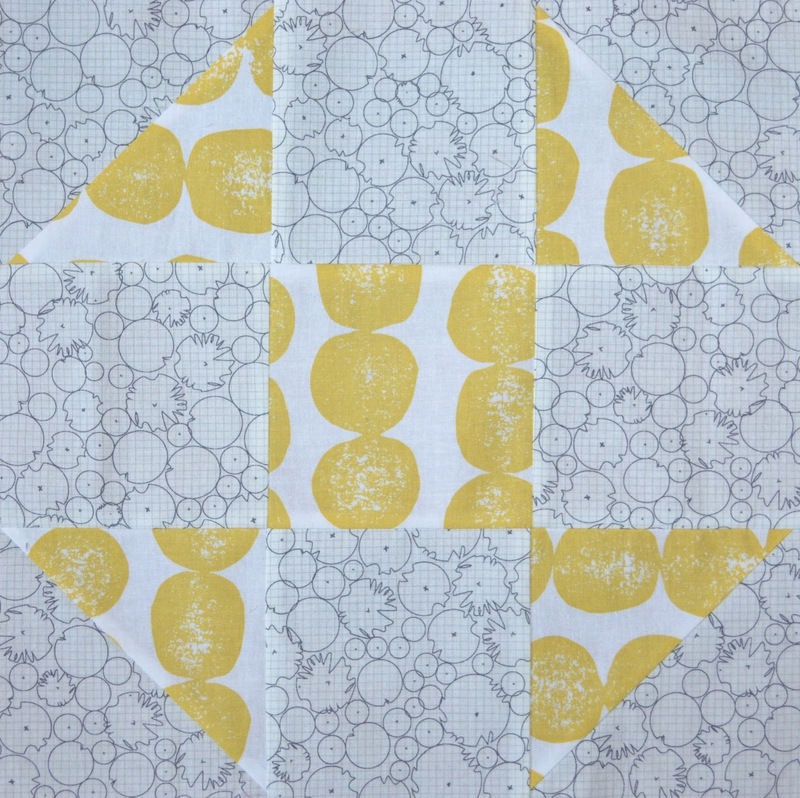 I love how you've created mockups using your blocks, it is the perfect way to illustrate how blocks look in a quilt. I'm surprised how different they look to the grey versions! There is SO much good info here! Loving this series. Such great info and illustrations. Thanks! !